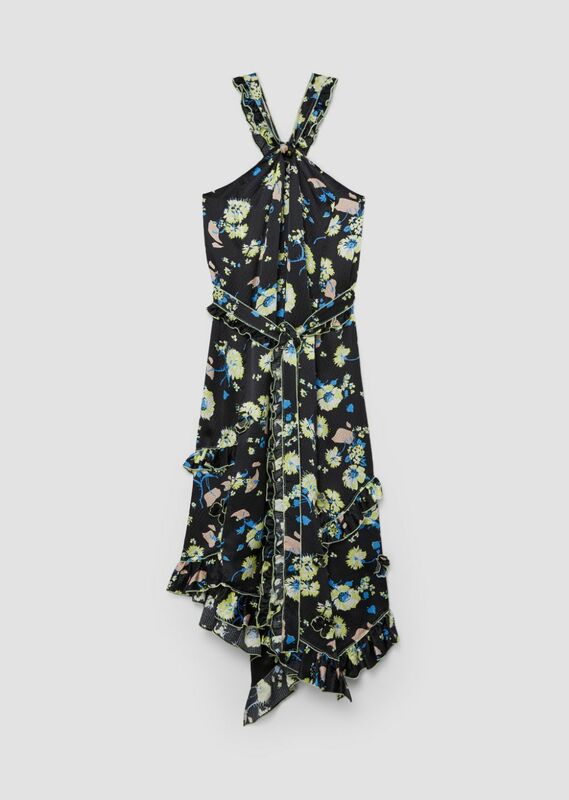 Ruffled halter neck midi dress in black hammered satin with allover garden floral print. Side zip closure. Twisted halter neck. 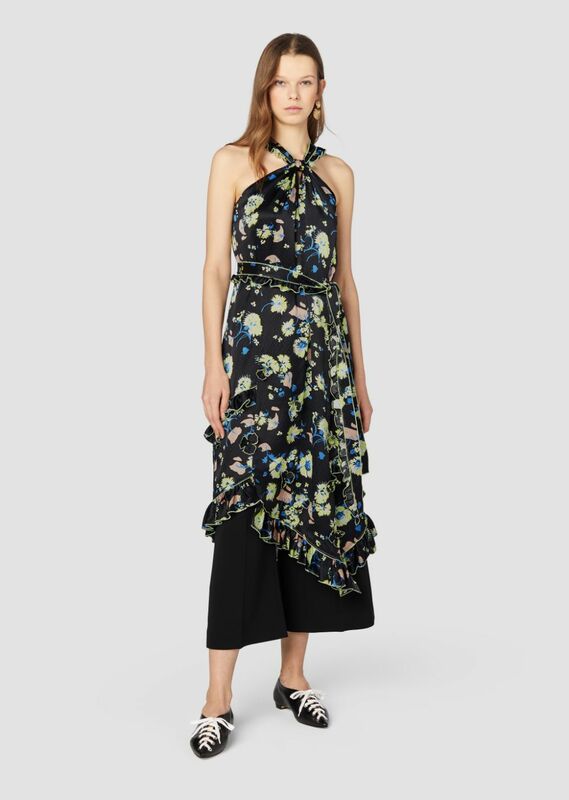 Self-tie waist belt. 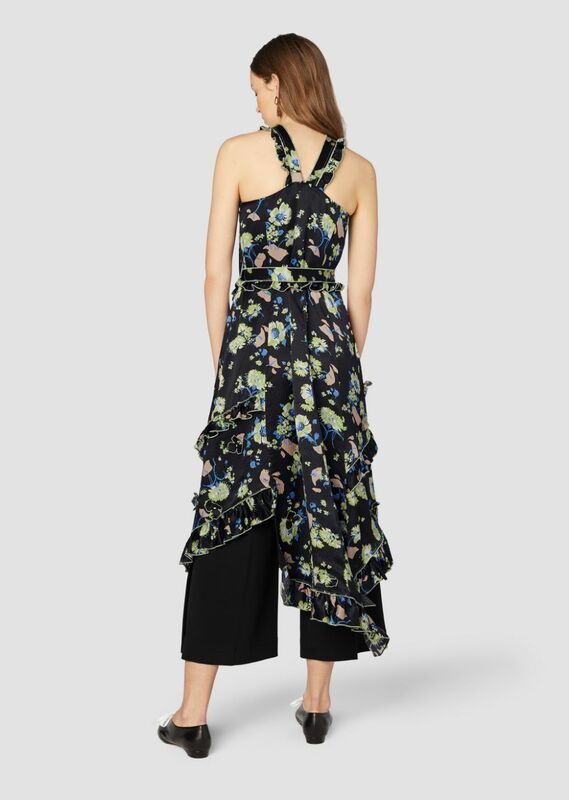 Angled ruffle hem. Lined. Imported.